The same applies here to some extent: I don’t wish to present this car as any kind of sine qua non (see this for one of those) just by “curating” it. That said, you’d be overlooking something if you did not take this opportunity to read on. “Motoring journalists fear the average car. We love writing about great cars, pulling out our superlatives. And, secretly, we like writing about bad cars as well, because we can be as rude as possible. The problem cars are the ones that fall in between the extremes, because there are only so many synonyms for the acceptable…..”, so said Car in April 2002 when writing about this vehicle, so I am not alone. Opel launched this iteration of their fleet and family favourite at Geneva in 2002, so we are falling back 17 years into the past, quite some trip, midway into the first term of Bush Jr, the same year as Heathen, I note. 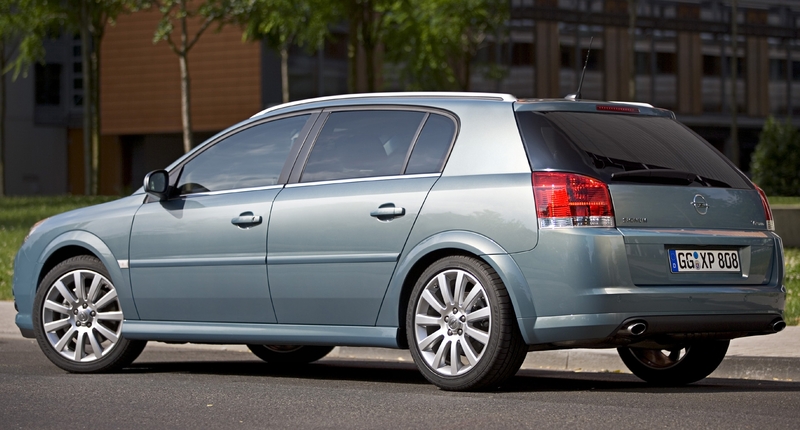 The Mk2 Mondeo had been on sale for two years; the Passat had just been facelifted to make it a B5.5 according to some nomenclatures; Skoda’s Superb appeared too; Renault’s Laguna II had been a year on sale; finally Toyota’s Mk1 Avensis neared the end of its first incarnation. So, all in all, a market full of quite fresh cars and almost all of them competitive. I have no figures to prove this yet I am quite confident the Avensis sold strongly to the end of its run. Note, this is also the year of the BMW E65 7er, with its decidedly unusual boot-lid and controversial and soon-revised headlamps. It was into this market Opel chief Martin Smith had to send a competitor, riding on the Epsilon platform (shared with the smaller-looking 2003 Saab 9-3). In so doing it gained stature its predecessor lacked (good and all as it was) and to my eyes drew on both the neat, industrial design ethos of the Rekord E and the experimental Art & Science theme being developed by Simon Cox (think of the 2000 Imaj). Opel’s press pack for the launch chose words like “taut, distinctive, elegant and understated”. Car (ibid) chose to call it average, inoffensive and plain in their 2002 review. I have a theory that if you told people the 1983 Margaux was just a bottle of red from the super-market they would not notice the quality. Similarly, I think the fact this car wore an Opel badge meant the goodness of the design went far under the radar. The “car with a premium heart” (from another Car article) manages to retain a lot of dignity almost two decades on. This one is a series 2 with the revised headlamps – the first versions came to the same conclusion as the Ford Fusion and for the same good reason. Either version is visually consistent. For my money the saloon is slightly better than this hatchback. The saloon C-pillar just avoids a Hofmeisteresque kink on the forward edge and widens towards the boot and it clearly has a boot. It’s formal while the hatchback (appropriately?) has sportier emanations. That part is less interesting than the effort so obviously expended to strike a balance between appealing to many and still retaining enough character to stand apart from its predecessor and its many and talented peers. Bob Lutz once said that this car didn’t instantly open purses and he was right. The looks might be clean but they are an epitome of inelegance. The oversize headlamps gave the series 1 a startled look (not that the series 2’s were any better), the saloon’s rear door outline made it instantly recognisable as a car for the elderly and the blocky boot made the car look as if it were getting ever wider from front to back when nearly everybody else’s rear ends tapered down from wheelarch to bumper. The vast expanse of featureless painted metal between the rear lights and the fat chrome strip only helped to strengthen the impression of a fat rear end. The tack-on bootlid spoiler carrying the third brake light doesn’t exactly look like a quality item. It’s no wonder it got facelifted after a relatively short time. I’m still wondering what on Earth they’d smoked when they decided the OPC versions were the way to go. In their home country, Passat sales numbers were five times as high as the Vectra’s and Skoda sold twice as many Octavias. I tend not to want to listen to Bob Lutz. Leaving that aside, while I won´t argue the car is a stunner, I think you´re making a lot of what are subjective criticisms. I am on firmer ground regarding ingress and egress: design for the broader mainstream is always worth doing and right to do. The huge boot is a packaging issue; Opel probably based that on a researched fact, that customers wanted a massive boot. The follow-up car addressed that “blockiness” and got kicked for having a boot that was smaller than average. Opel could sell a pill to cure migraines and people would complain about the taste. I really like the precise geometry and sheer surfaces. Its deceptively simple, but not at all dull. Unlike Richard, I prefer the five-door version as I find the C-pillar on the four-door slightly uncomfortable: specifically, the slightly frumpy “round shouldered” side DLO is somewhat at odds with the “fast” slope of the rear screen . It’s a shame that GME cars have often been dismissed as automotive white goods. Some, like this Vectra, deserve better. Ditto, I have always loved this design in its original form, the purity of the forms, the wheel designs, the perfect proportions. I also do prefer the liftback. Agree with every single word by Daniel. Totally same thinking, and I prefer the pre-facelift fastback version as well. (fully suitable for an Opel) impression. 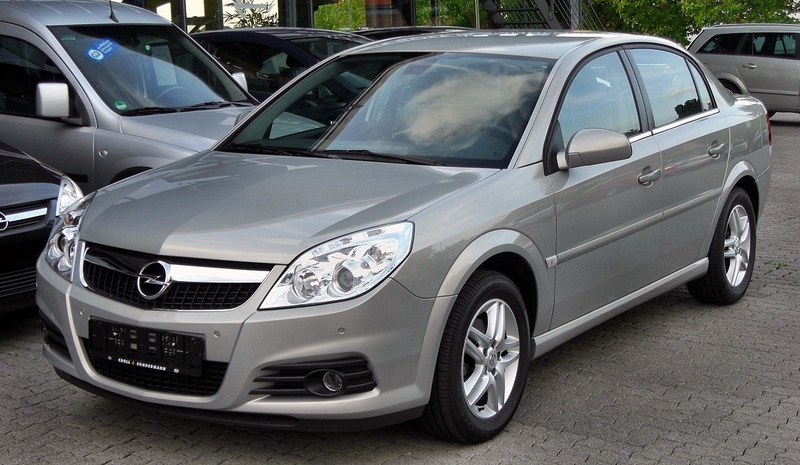 Ever since the Astra F (and really, even since the last-gen Kadett) Opel has managed to roll-out cars that are mostly admirable in terms of sheer quality of design – with very few exceptions. Corsa B – aging incredibly well, and from nowadays perspective, has that ‘Etalonic’ quality of setting THE perfect size/packaging balance for a proper city car (Corsa B achieved the golden balance in this discipline, which becomes visible just today, where there’s almost zero *properly* sized/packaged true city cars). of positioning and sociologic labelling). Astra F – no need to waste pen here. Astra H – somewhat dissappointing & overpretentious as a 5-dr, but the GTC and the Estate are true gems and I cannot pass them without my head turning. Meriva – apart from it being a somewhat messy engineered car – too heavy (hence deprived of dynamic joy) for what it’s sized like, simply as discipline of form it is another exercise where the influence of Kodama San shows almost from all angles. what’s one of the rare, longroof-but-not-Estate 5-dr.semi-exec cars. Vectra C – Daniel’s words above grasp the essential summary of what can be written on this understated, elegant and plenty time-resistant styling capsule. of this category of cars in the early 00’s. undeniable appeal of what Opel as a brand stands for today. stable aesthetic expectations from Opel, which are almost subconsciously embedded in each and every car guy/girl from our generation. Alex: thanks for that. Opel haven´t really got a lot of credit for their work. Partly, the whole business of their demerits as car for road testers gets in the way. And partly it´s because their designers remain quite anonymous. Christopher has named a few and they are names I am not familiar with whereas after many years of reading Car and Autocar I have a fair idea about BMW, Ford and Citroen´s design teams. Bangle, van Hoydonk, le Quement, Coco, Smith, Bird etc are all names we see bouncing about here. But Opel have been oddly reticent about their design and design philosophy which looks to me to have been very consistent over many decades. Wayne Cherry perhaps? Other branches of GM have had more publicly ackoweldge designers. Why not Opel? I too am concerned PSA will disrupt the continuity at Opel. Is the design centre really closing? Al: I´d like to return to the Meriva. Both iterations had something going for them and I´d hate to have to choose between them. The first one´s a really rigorous bit of design work yet isn´t unfriendly. The only thing “wrong” with it is what is not there: they did not, to my knowledge, do a warm/soft interior. This was probably because the price point was on the low side. The other thing is colour: the only colour I seem to see is pale metallic grey. It´s not really Opel´s fault nobody wanted it in mid-green or orange or burgundy with a dark blue interior. The geometry isn´t boring but the colours sold certainly were. Masses of space, but never understood or appreciated. A neighbour has a Signum, so I see it almost every day. I still don’t understand it. All that rear cabin space, but an austere cabin and a hard ride. Your passengers have leg room to spare but will still be uncomfortable. What is the point? Also, my neighbour has the six cylinder diesel, and it is a belching health hazard, which hardly endears the car to me. 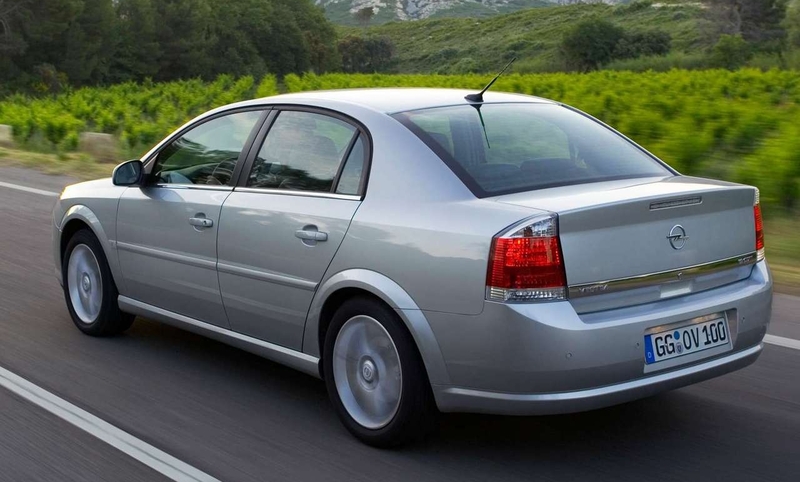 In the UK, the Vectra was let down by Vauxhall’s typically awful marketing. There was a time when the Cavalier seemed to encompass the hopes and aspirations of the hard-working, ambitious executive, while Corsas were seen as appealing and youthful and Astras provided faithful service to the family. Then it all fell to pieces. Hi Jacomo. I should have made clear that I was commenting purely on the aesthetic qualities of the Vectra and Signum. I was aware that they were nothing special dynamically and the cabin fittings were supplied by Poundworld. If only Fiat had given the Croma a raised ride height, grey wheelarch and bodyside cladding, massive wheels and a more aggressive snout. A surefire hit! I did like Richard’s migraine pill anecdote; apt for such a company. Opel / Vauxhall really do seem to have that lingering feeling of being ok but not quite fully there. It’s odd as these are humble, hard working horses that don’t shout about it. There are a handful still knocking around near me but I cant say I give them a second glance. After this post, that will change. The early 2000s was a great era for car design and i remember going from being a opel hater to a fan with the new design language. Zafira, Meriva, Vectra, Astra, Speedster and the vivaro – all felt like a breath of fresh air to a young lad with a fresh drivers license, and something truly new compared to the cars of the previous decade. i still like them all, despite not being perfect by any means. To bad the quality was less then stellar, turning a lot of potential return customers away from the brand forever. My father exchanged his trusty old 1994 hiace hiclass for a first year opel vivaro and let me just say everything that could possibly break broke – even the gear change cable snapped after only two years. He traded it in for a new hiace after 3 years, which felt pretty agricultural compared to smooth opel, but after experiencing the horrors of the vivaro, the solid and agricultural feel was a positive thing and not drawback. 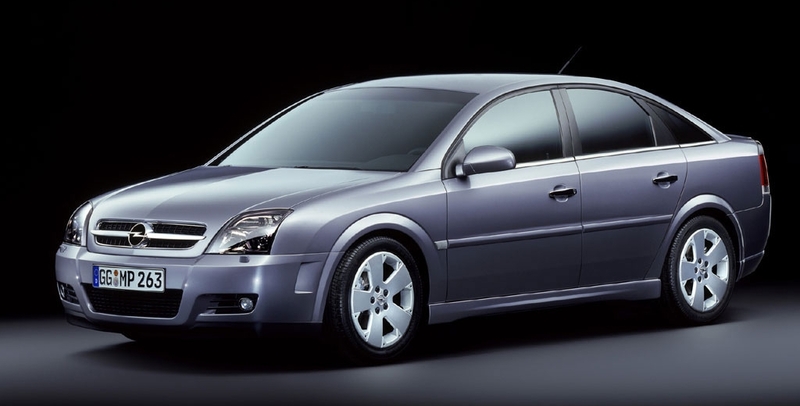 Richard, the Vectra C was developed under chief designer, Hans Seer. Smith’s appointment to the post was in 2002, and all the cars unveiled after that date were (right- or wrongfully) credited to him – not to mention marketed as a deliberate break from the austere form language of much of the Seer-era. Thanks – the name Hans Seer is new to me and it is a bit of a pity because it seems he was a careful and thorough designer. Martin Smith did not spend much time at Opel, did he? In 2004 he was at Ford. He must have spent a fortune on removals. Smith wasn’t poached from Audi in 2002, but had joined Opel in 1997 already. So he would’ve been involved in the creation of many of the cars he was later supposed to make the customer forget about. Hans Seer should be your kind of car designer, incidentally. Thanks for this, Richard! 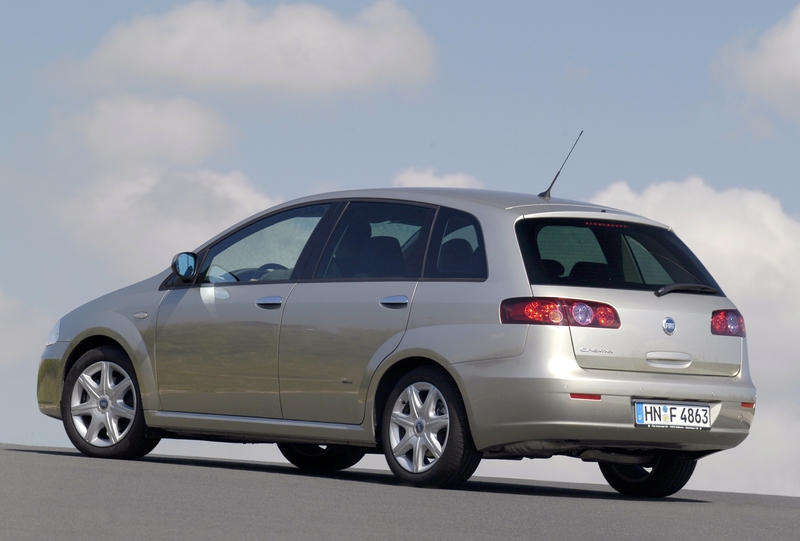 It’s one of my early 2000s’ favourites – especially seen in the light of what Citroën did in this segment at the time. Like Daniel, I’m not a fan of the conservative looking saloon with its strange rounded rear doors. For me, the much more elegant (and useful) hatchback is way better looking. The blockiness that was criticised isn’t too bad in my eyes. It gave the car an air of solidity that a contemporary Astra (the one that was launched around 1998) didn’t have – it always seemed insubstantial and brittle to me. The idea to use the estate wheelbase for an upmarket passenger version (Signum) is also quite appealing (Citroën CX Prestige, anyone?). That the suspension and interior apparently didn’t live up to this ambition is a real pity. I think it has a really nice stance (but I’m a sucker for long wheelbases, so I have to like it). 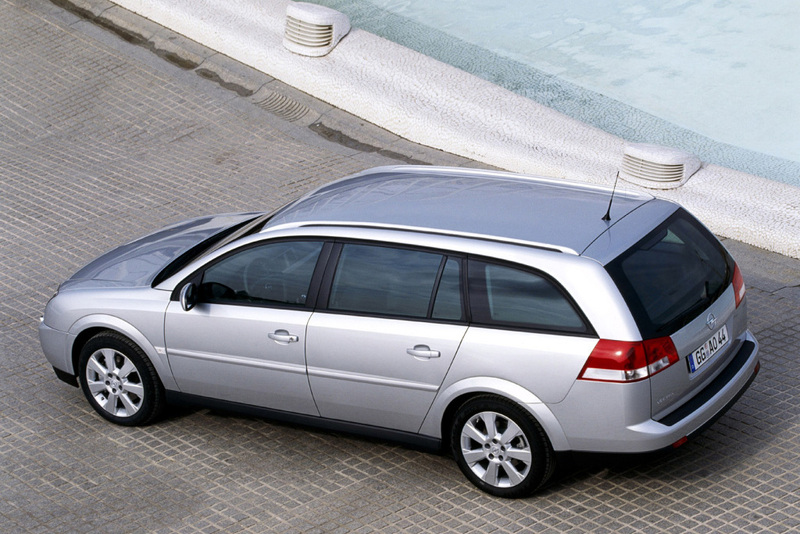 The Croma shown above suffers very much from its diminutive underpinnings in comparison. to make the form possible to memorize. If it wasn’t for that clever (and sharp, so sharp!) “joint” between the DLO’s edge and the taillight, it would be just bland to the point of oblivion. This can pass as a “phenomenologic reduction”, and, although seemingly just a trick, it can be valued highly as a design methodology. Not sure about the fussy headlamp graphic, but the surrounding bodywork looks crisp and, dare I say it, rather (old-school) Teutonic. I don’t suppose anyone spotted the little conceit deployed in this article? Not me, I’m afraid to say, but I do note that your piece on a decidedly mainstream and unexotic car has solicited 21 comments. So, despite your fears, at least some pulses were raised. Yes, gratifying. Thanks everyone for commenting. on first sight, seem to recall the general shape of LdVA’s Clio IV headlights. somehow reminds me of previous-gen Meganes/Scenics. (the wing convexity radius seems spot on with the Megane III). shall try to extract the essential tricks from those two mega-succesful cars. teddy-bear-esque kind of shape opulence. or 3-series kind of movements…). it better have a cavernous trunk to compensate for those stressful, awkward, narrow-street daily situations. The Logan (and admittedly, the Sandero to an extent, too) were rather generous in remunerating the owner for the size issues, in trunk capacity currency, cash on hand. The C3 is appaling in this regard. Its other virtues are, however, very tempting, and it’s hardly a wonder why it sells like hot donuts on a chilly day. Many have been cheated by its size, yet they’ll probably be happy campers, most of the days. But the C3 is another story. showing so transparently the psychologic profile of the avg., statistically dominant Meriva buyer. the ambiance immeasurably. Plus a set of 16″ AZEV As or ATS wheels. and eager, as I do. the brand(s) itself/themselves, and not ‘dilute’ the effects with accenting individual designers’ merits for a certain shape. but it probably pays much bigger brand-loyalty dividends decades later. considered a major brand sin for an Opel, and noone even considered thinking about doing such a car. 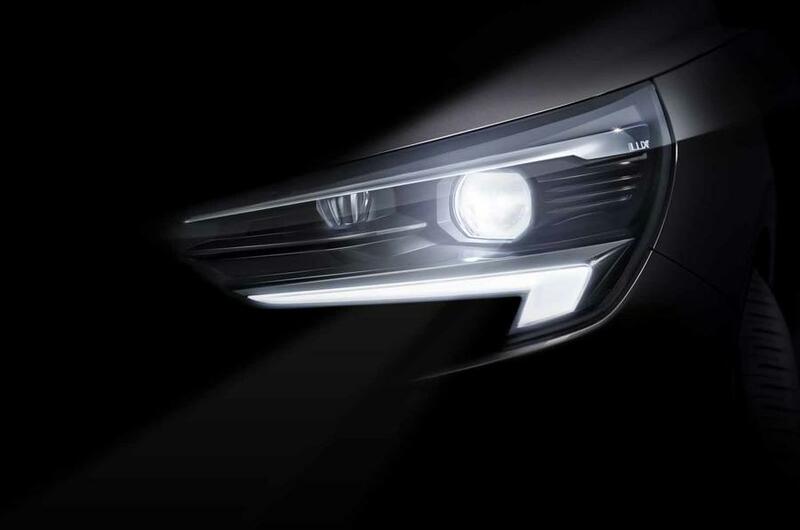 the turning point in this new Opel image, in my opinion.